They say to humanity, "If you see evidence that should be a wake-up call, ignore it!" 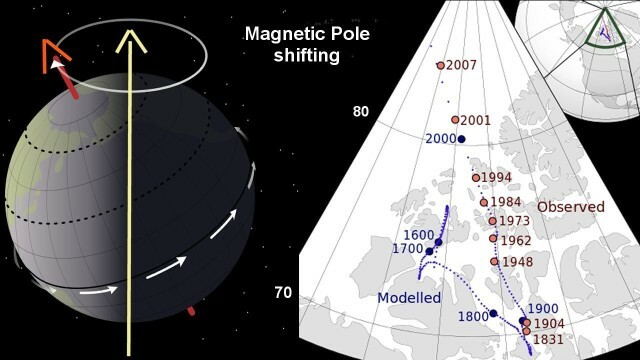 The shifting of the magnetic pole location, measured on the ground in northern Canada, by repeated expeditions shown in red, should have raised a lot of eyebrows, because the shifting of the magnetic pole has accelerated from the 1960s on. As it was, it didn't raise many eyebrows nor inspired many questions. The 1960s timeframe is significant as the general timeframe when the dramatic weakening of the Sun began that we see reflected in diminishing sunspot numbers. 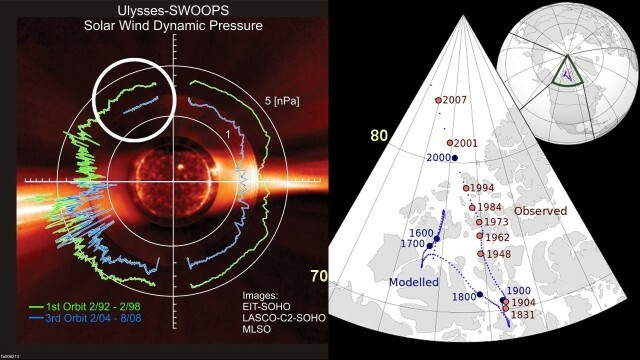 The Ulysses spacecraft saw the same weakening trend in terms of diminishing solar wind pressure, between 1992 and 2008. By drawing the facts together, it should have been dramatically evident that the entire solar system was getting weaker, which has its own magnetic field perpendicular to the ecliptic. Without external influences the rotation of the Earth would create a magnetic field in line with its spin axis. Affected by a strong external magnetic field, the Earth's magnetic field would be deflected by the amount of the inclination of the Earth spin axis. Such a strong deflection was measured by an expedition in 1831. Now with the solar system getting weaker, the deflection is almost gone. The 20 degrees deflection has diminished to less than 4 degrees. The Earth magnetic field is now more closely aligned with the spin axis than it ever has been, even while the Earth magnetic field itself is the weakest in recorded history. 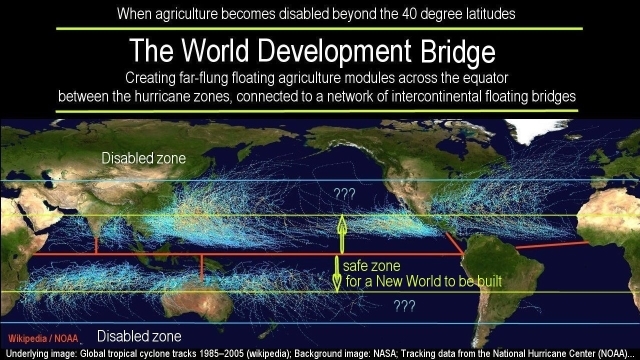 While the pole drift is also affected by factors within the Earth, the coincidence of it with the weakening of the Sun should raise some eyebrows at least. 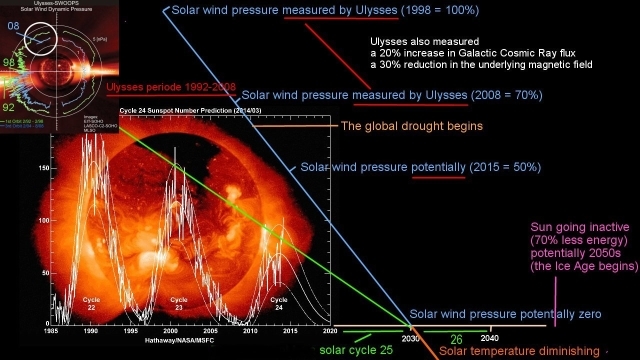 It should do more than raise just a few eyebrows when one considers the fast rate of collapse, of the collapsing solar-wind pressure that Ulysses has measured. 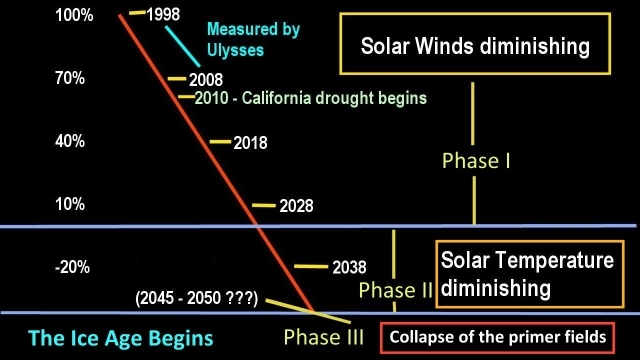 The fast rate projected forward indicates that the Sun boiling-off steam, as it does in a plasma-rich environment, will likely stop in the early 2030s, with which Phase 1 ends, and Phase 2 begins with the Sun itself getting colder. In reality the boundary between the two phases will likely blur. The blur, renders Phase 2, which is by far the most critical phase for humanity on Earth, a hard to predict issue. Linear projection indicates that the weakening of the Sun will cause a set of its primer fields to fail in the early 2050s. 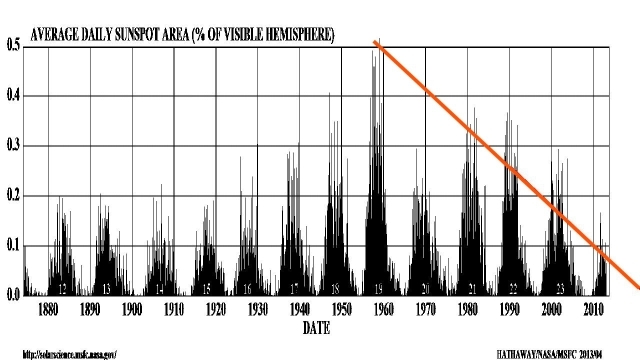 This is just a projection, based on the historic fact that the Sun survived its slumber without sunspots for 30 years during the Little Ice Age, till it was revived early in the 1700s. At the current rate of collapse the zero-sunspot stage will likely be reached in the 2030s. This potential is generally acknowledged. But we have no measured historic comparison available to predict what happens thereafter. Here is where the magnetic pole-shift measurements become significant. The fast rate of the pole shift that has been measured from the time that the diminishing of the Sun began, in sunspot numbers, in the 1960s, suggests that the weakening of the primer fields, which create the cosmic magnetic field that affects the Earth, may be far-more advanced than the collapse of the solar wind suggests. At the time of the Little Ice Age the background support level was far stronger than its rate of decline would give us today. This weaker background density in interstellar plasma, that gives us weaker primer fields, which the magnetic pole drift suggests, is tragically real. The weakening of the solar system that we see indicated in so many way, is bringing us ever-closer to the threshold line, beyond which the primer fields will collapse. It is somewhat uncertain, in which year the collapse will happen. 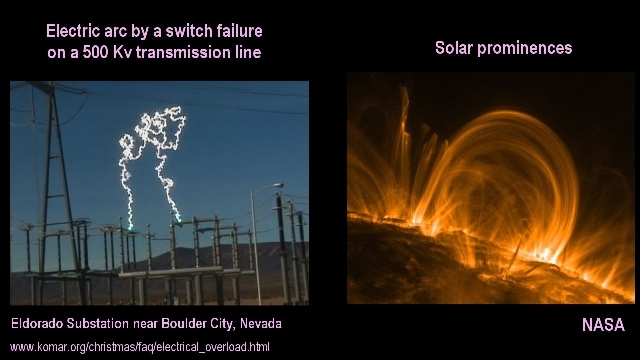 The current dynamics of the solar collapse might not keep the primer fields functioning far into the 2050s. The phase shift to glaciation may happen sooner. It could happen potentially in the late 2040s. 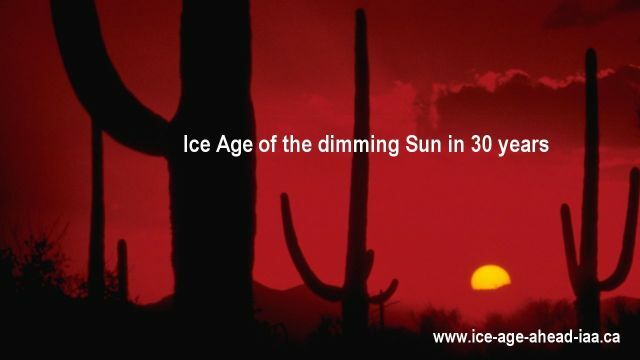 The Ice Age start-up could happen potentially in 30 years from now. The short time span means that the time for awaking to action is now. It's critical! An enormous amount of work needs to be done to build us a new world. Time is getting wasted by inaction. The sleep-time should have ended more than a decade ago. If the 3rd Phase phase shift happens before we have prepared our world for it, then it becomes irrelevant. Indeed, then all considerations become irrelevant as then almost no one will remain alive to be affected by them. The time for action is now. The great actions won't be taken, of course, to secure the future of humanity, until the digital nature of the Ice Age phenomenon is understood and acknowledged. The digital nature of the solar-system's dynamics gives us the two widely diverse solar environments that are expressed in what may be termed, the Ice Age dynamics, and its almost opposite and incomparable climates on Earth that we must live with. The climate on Earth necessarily reflects the flipping of the Sun between its high and low powered states. When the digital dynamics of the solar system are understood, actions will be taken by us all, to create us a new world for the inherently fast-changing environment. When this dawn towards actions begins, it opens the door to the greatest industrial, economic, cultural, political, and scientific renaissance, as has never been seen before. 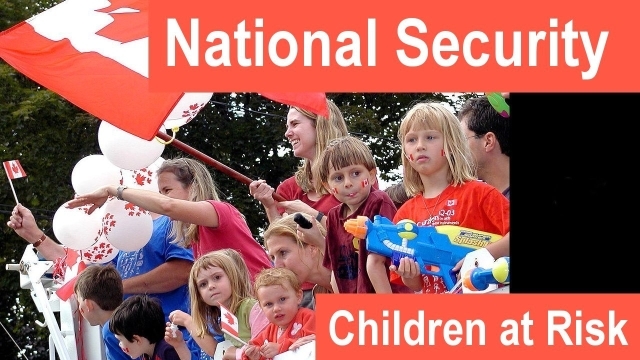 We do see already some stirring towards action, in the symbolism for high-level events hosted in the free world, primarily in China. The symbols are of a type that may signify a high-level recognition of plasma astrophysics and the consequences of the unfolding electro-dynamics. If this is the case, the symbols are extremely significant. The symbol of the 2017 Belt and Road Forum, for example, is highly reflective of the shape of the heliospheric current sheet surrounding the Sun, and the differential rotation of the Sun, which appears symbolized by a stepped structure. The stepped structure can bee seen as symbolic for the bands of the Sun rotational differences. 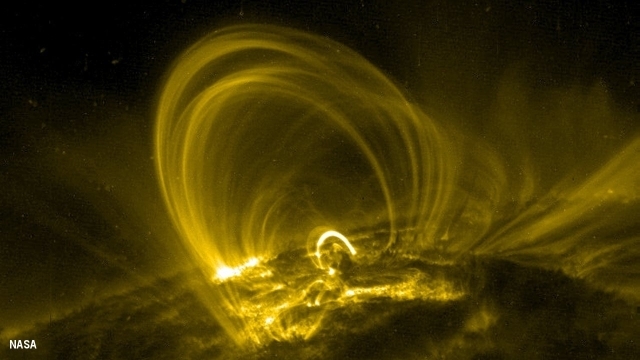 The symbol even vaguely hints at the plasma inflow into the solar corona over its pole. 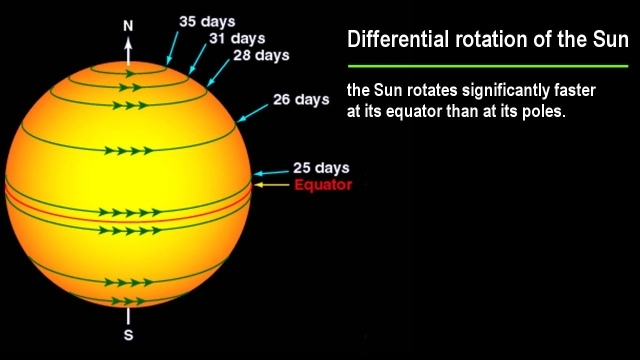 Both features, the heliospheric current sheet and the differential rotation of the Sun, are exclusively features of the solar systems's electrodynamics. 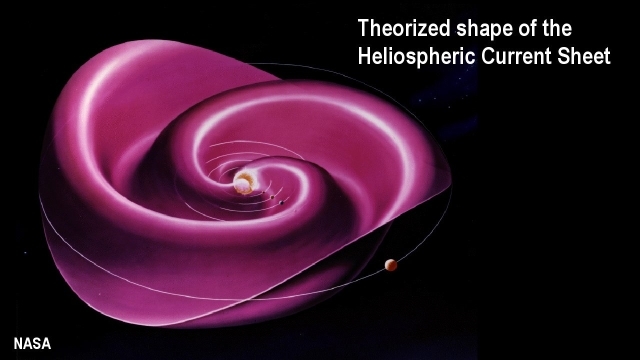 The heliospheric current sheet is a sheet of plasma that flows between the Sun and the heliosphere that surrounds the solar system. 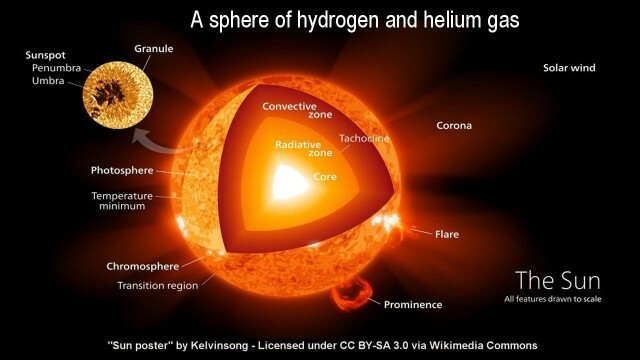 The heliosphere is a shell of plasma, located a far distance from the Sun where the solar wind grinds to a halt. The illustration presented here is of the theorized shape of the current sheet, which cannot actually be seen, but has been measured technologically. Its existence, whatever its real shape may be, proves that the Sun is not a heated gas ball that is its own master, but is a part of a fast-changing electrodynamics complex, which it responds to, by which it is powered, and which shapes its activity. at its equator than at its poles. That the Sun is not a heated gas ball is also evident by the fact that the Sun rotates significantly faster at its equator than at its poles. This phenomenon is not possible in gas dynamics, but is natural in electrodynamics. Furthermore, an earlier Chinese-hosted world-event, had featured in its logo a symbol that is more significant for plasma electro dynamics than for the event itself. 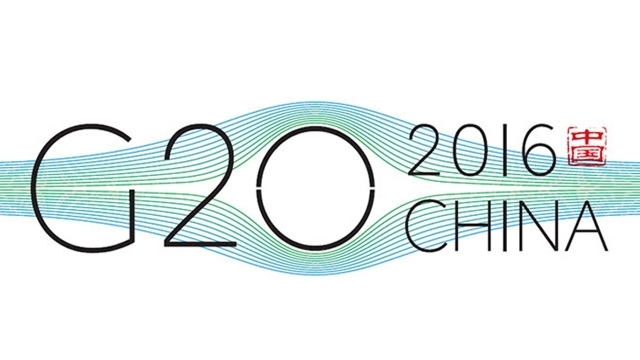 The logo for the 2016 G20 event features a plasma flow illustration, of plasma flowing around a Sun, which closely reflects the actual dynamics that power the Sun in contrast to the still widely accepted false doctrines about it. Whether these features are intended to signify that there is an awakening in progress in China, cannot be determined. The potential is greatly encouraging, signifying that the long night of science-slumber is coming to an end. Hopefully, this is the case. 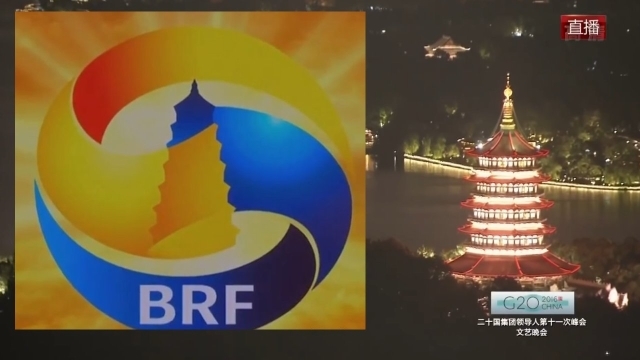 The core of the BRF symbol could also signify nothing more than an architectural structure from Chinese history. But why shouldn't China be the pioneer towards a new awakening to the real nature of the universe in which we live?. This potential exists, seeing that China exists at a far distance separated from the 'gods of the Lords' who controls much of humanity's science and keeps it under wraps with fairy tales. With the truth now shining through the wrappings unfurl evermore strongly, with increasingly larger fringe effects, such as floods, droughts, hurricanes, and earthquakes, that China has experienced already in large measure, the massive increase of them should have raised some eyebrows, even rung some wake-up bells. China may be waking up. 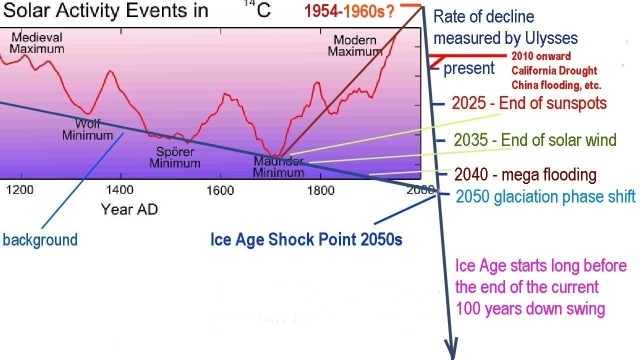 It is even possible that an awakening is happening in China to the impending phase shift to glaciation that renders the Earth an uninhabitable ice planet in the near future. 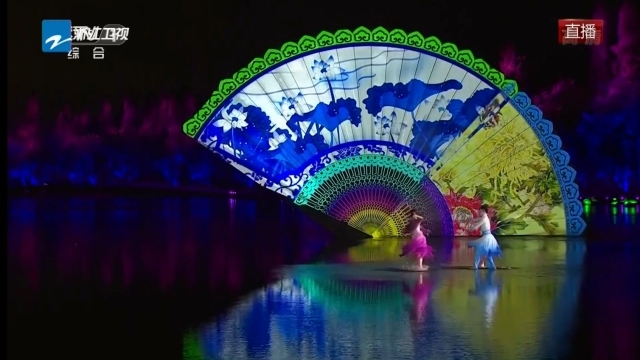 The gala performance for the Belt and Road Forum in 2017 features a ballet performance that is centered on an image of what the Earth might look like as an ice planet. 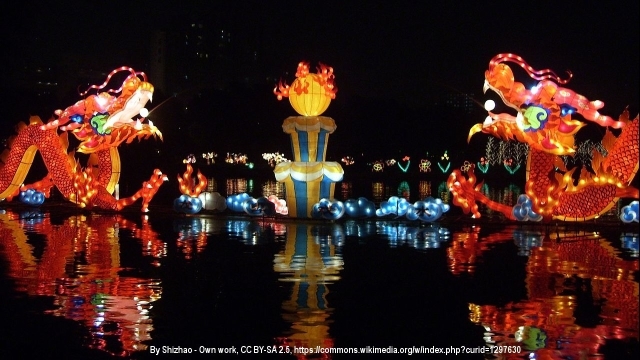 While it is possible that the performance reflects the traditional Chinese Mid-Autumn Moon Festival, it is not unreasonable to assume that the ballet had a higher focus. It is not unreasonable to assume that a highly advanced science oriented society is beginning to recognize what the future Earth will look like in its ice planet mode. 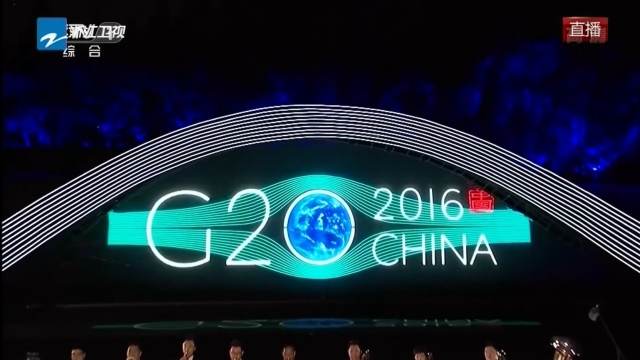 The 2016 G20 gala even hinted at, how humanity might build itself a new world for living on an ice planet, which is most efficiently created as set afloat on the equatorial seas. 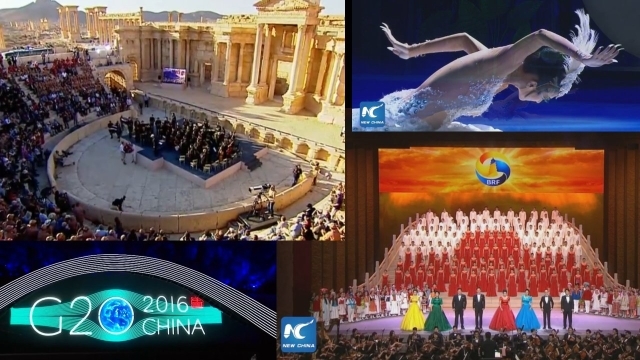 The entire G20 gala was performed on water, on a stage submerged just inches below the surface of a lake. 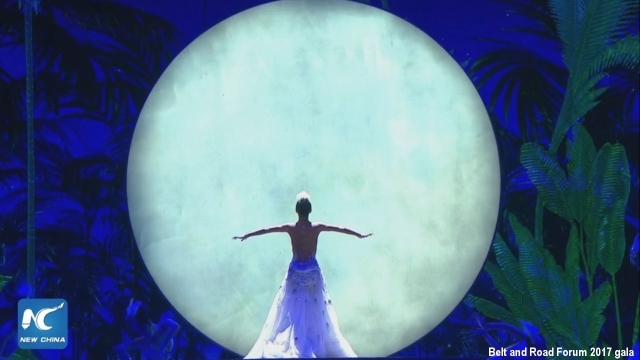 The dancers were literally dancing on water. There remains so much that the world needs to wake up to, in order to prepare itself for the Earth becoming an ice planet, to which the transition is in progress, that we may really have to learn to walk on water symbolically, and in leaps and bounds to make up for the lost years wasted in dreaming. Tragically, the dreaming hasn't yet ended, though it should have ended long ago. Especially our dreaming about the Sun should have ended, because this dreaming is so obviously off the mark that it almost hard to ignore. When we awake, we can't help notice that in our dreaming nothing was real. We have been taught to dream that the Sun is a sphere of hydrogen gas that is intensely heated from deep within it by nuclear fusion reactions occurring in its core. But when we awake and look at the Sun, we can't help noticing that our dreaming was far off from what we can actually see, and have seen for centuries. 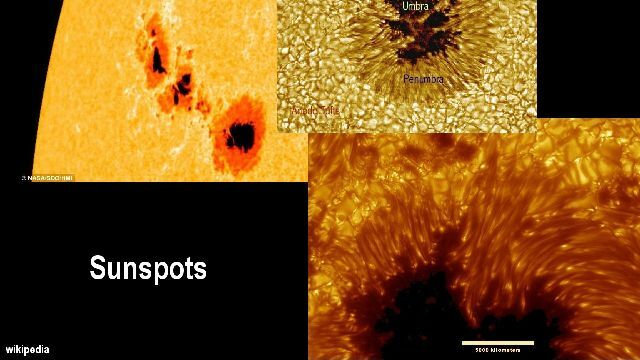 When we look through the umbra of sunspots, where holes have been torn into the surface of the Sun, we see that the Sun is dark inside, instead of brighter. We begin to recognize that our dream-visions were visions of fairy tales. We see such paradoxes about the Sun wherever we look. 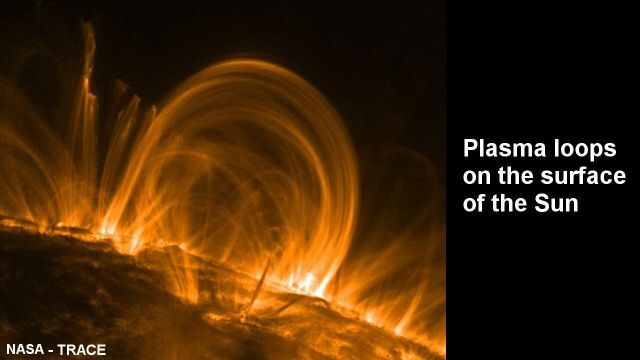 Just look at the giant glowing loops on the surface of the Sun. These are not phenomena of gas-flow dynamics. Gas doesn't behave that way. Gas dynamics can't produce these types of giant loops that grow prominently on the Sun. 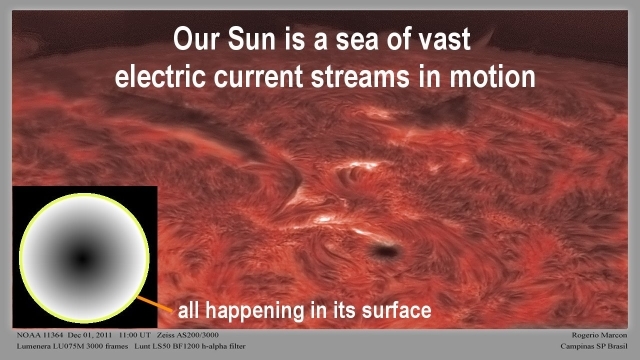 But in electro-dynamics, that defines the Sun as a sphere of plasma, where every particle carries an electric charge, and its movement creates a magnetic field, the dynamic forming of these 'prominences,' as they are called, is a natural, universal, phenomenon. The dead-end doctrine of the hydrogen gas Sun, which society has been lulled itself into a deep sleep with, is one of the biggest obstacles that has been created against humanity's waking up to the real world, because the hydrogen gas Sun can exist only in dreams. In the real world, such a Sun is physically not possible. It simply cannot exist. The known mass of the Sun is a thousand times too light for it to be a sphere of hydrogen gas. A gas sphere of the size of the Sun would have destroyed itself by gravitational compression long before it became as big as the Sun is. 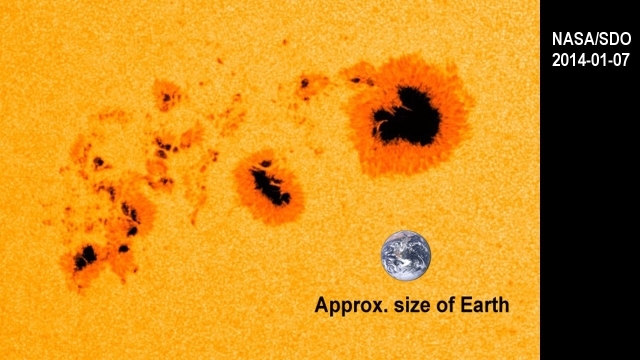 A large celestial object of the size of the Sun, or larger, can only exist as a plasma sphere, because in plasma physics, the concentration and distribution of mass is determined by electro-dynamic factors. In plasma everything is electrically charged. Its proton particles carry a positive charge, by which they repel each other. Its electron particles, that are 2,000 times lighter, have a negative charge. They dance between the protons and shield them from each other. 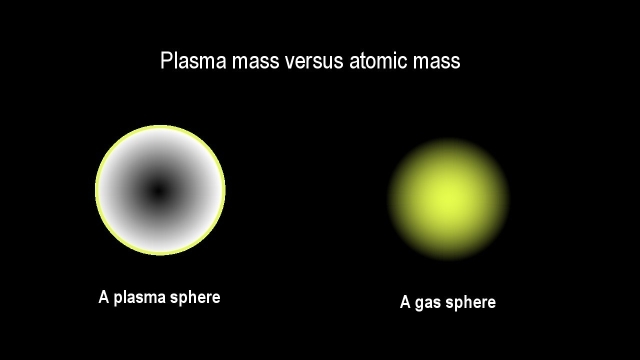 When the plasma mass is large, gravity plays an additional role. Under gravitational pressure the lighter electron particles begin to migrate to the surface. As they do so, their electric shielding of the protons diminishes, which thereby repel each other more. 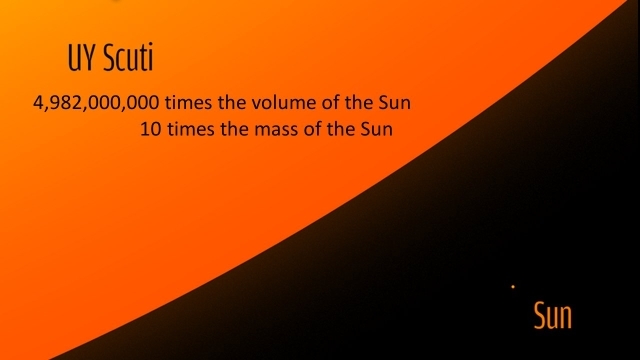 By this process, the core of a sun has the least mass density, and the surface the highest. 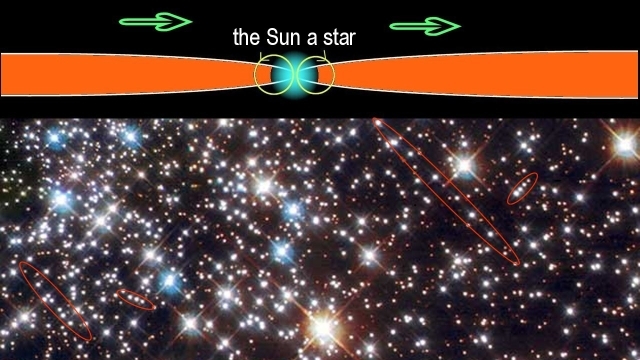 That's why extremely large stars are able to exist. The giant star U.Y. 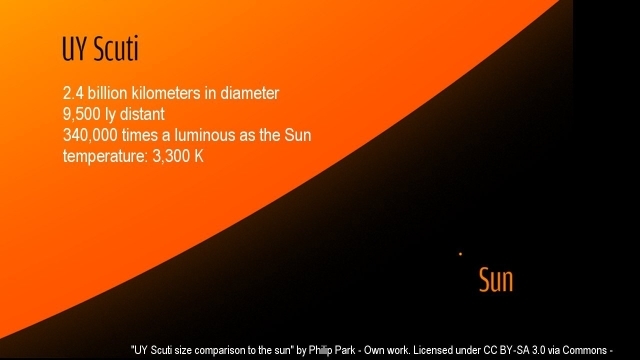 Scuty is nearly 5 billion times larger in volume than our Sun, while its mass is only 10 times larger. Yet, with this tiny mass, that is so thin that it is almost a vacuum, this star outshines our Sun 340,000 fold. The phenomenon of such a super-giant star, which really does exist, is not even remotely possible as a phenomenon of gas dynamics. But with electro-dynamics, that forge dramatically different effects, by which a sun becomes largely an empty shell, the phenomenon of the super-light and super-giant star falls well within the range of what one would expect for a plasma star in extreme cases. With our Sun being a plasma shell that is largely empty inside, it has a dense surface that is teeming with electrons. In this case, when a stream of interstellar plasma is focused onto such a sun, a powerful plasma interaction takes place. In the caldron of this interaction, electrons and protons become combined into atoms. The atoms, in turn, emit the sunlight that we see. All light in the universe is emitted from atoms. 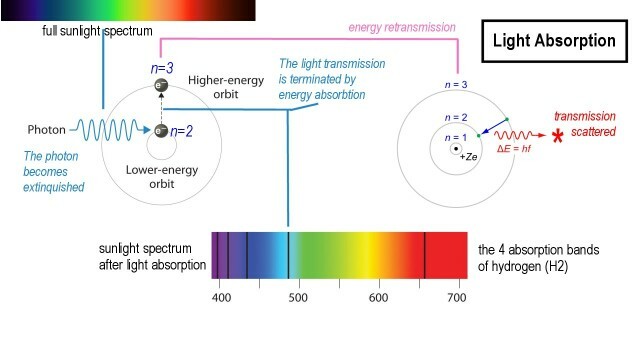 The atoms serve as energy converters, especially at the surface of the Sun, where they are intensely activated by the movement of plasma, and to some degree also by photons. The synthesized atoms that create the sunlight, with which the Sun radiates its energy, are continuously created in all imaginable combinations, and are purged away from the Sun in continuous streams. As they fall away, they accumulate into planets. All the planets in the universe have been formed from atoms synthesized on the surface of a sun. 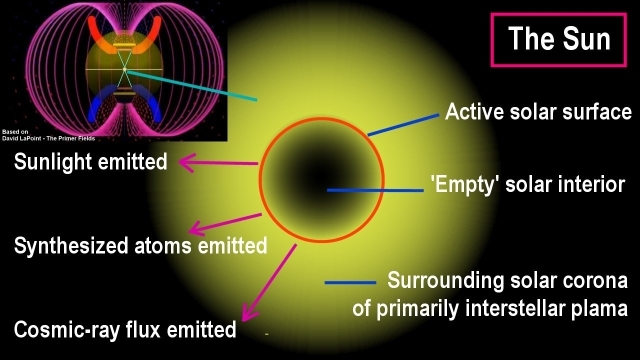 With the Sun itself being merely an energy converter, of electric plasma energy flowing onto it from interstellar space through electromagnetic primer fields, the intensity of the Sun's operation therefore depends on the density and pressure of the plasma flowing onto it. Interstellar plasma is its life blood. When the input is strong, its activity is strong. When the input diminishes, its activity diminishes. 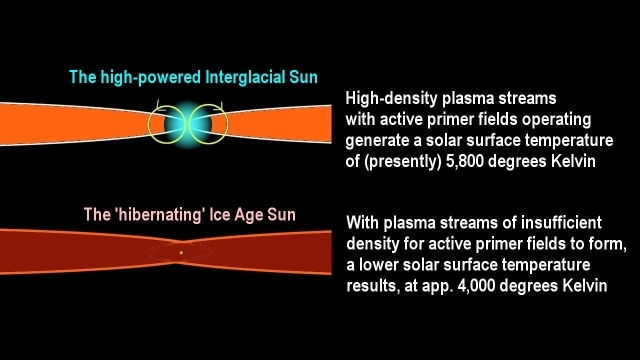 When the plasma input diminishes dramatically, the solar activity can vary so dramatically that Ice Ages result on Earth with a 70% dimmer Sun. This is a part of the path for the Earth becoming an Ice Planet, potentially in the 2050s. This is also the only path possible for an Ice Age to occur. All this means that the climate on Earth is absolutely determined by electro-dynamic conditions in interstellar space that affect the Sun from a long distance away. 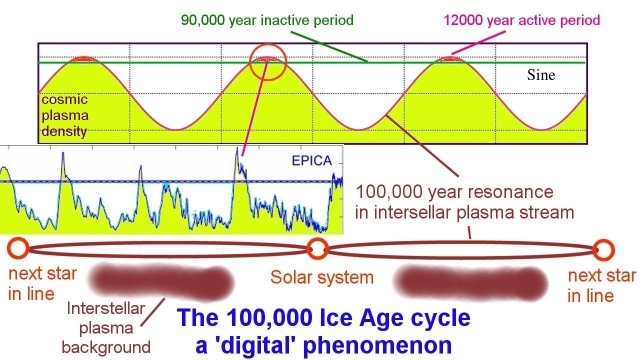 Ice Age phenomena are interplanetary electro-dynamic phenomena. 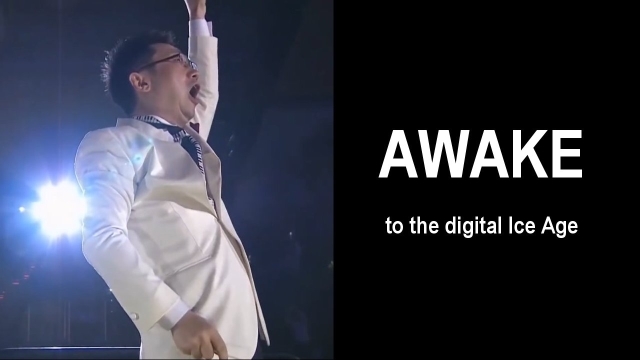 and are digital in nature. The interstellar dynamics change slowly, but when the plasma density falls below the minimal threshold for the primer fields to form, the resulting effect on the Sun can change quickly. 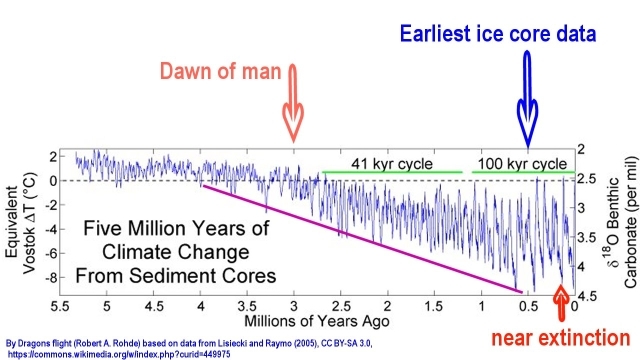 Ice Ages are never caused by mechanistic phenomena. These don't affect anything. 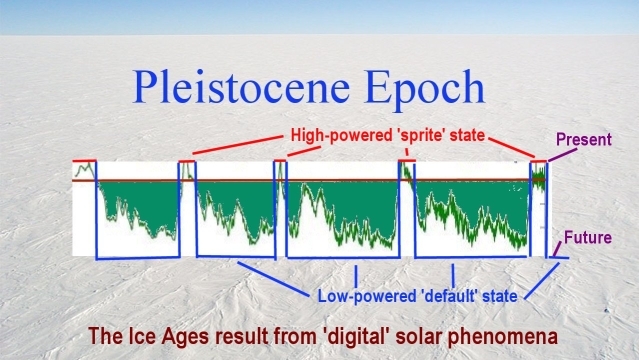 Ice age are caused by electro-dynamic phenomena with digital effects that are caused by primer fields forming and primer fields collapsing according to interstellar conditions. 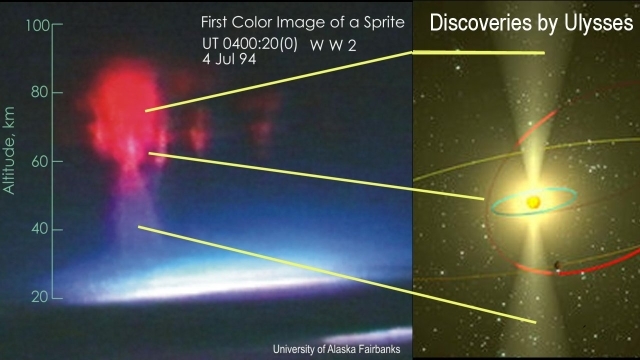 The closest visual correlative on the minuscule scale are the red sprites that typically form between the ionosphere and high storm clouds. The sprites form rapidly, and when the conditions that form them, are exhausted, typically within a second, they vanish. 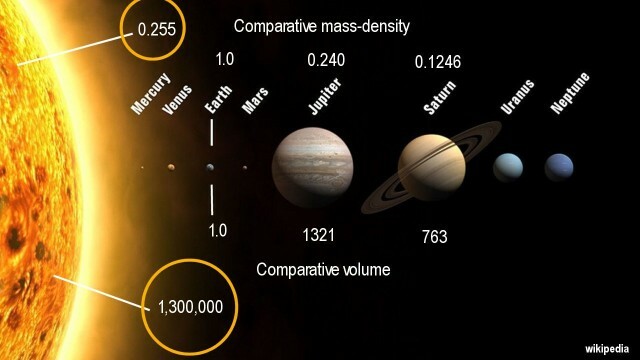 In the vastly larger solar system, the primer fields that boost the solar activity intensely, typically remain active, correspondingly longer, for roughly 12,500 years. As I said before, the on-off states of the solar boosting are dramatically evident in climate records of ice cores drilled in Greenland and Antarctica. 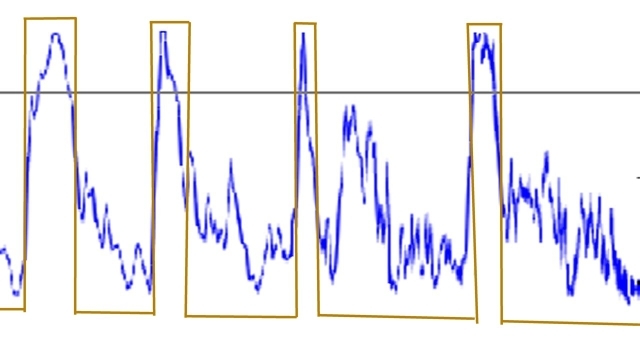 The digital climate oscillation is also evident in deep sea benthic formations. They correspond well with what has been measured in the ice cores drilled at the Vostok Station in Antarctica. 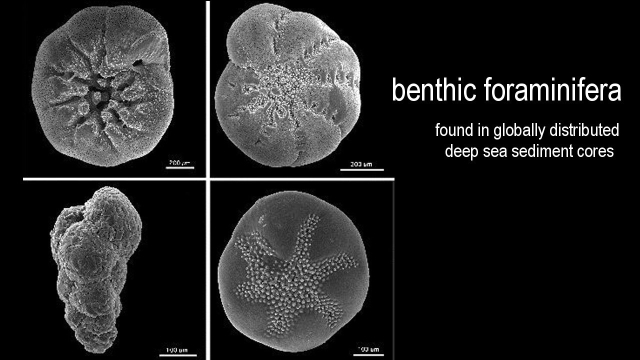 In benthic forams the climate record is preserved in the form of ratios of heavy isotopes of oxygen. These ratios vary by temperature at the surface of the sea, because water with the heavy oxygen evaporates at a different rate, at different temperatures, which alters the ratio. The resulting ratio is locked in the calcium shells of micro organisms living at the surface of the sea, and is thereby preserved. 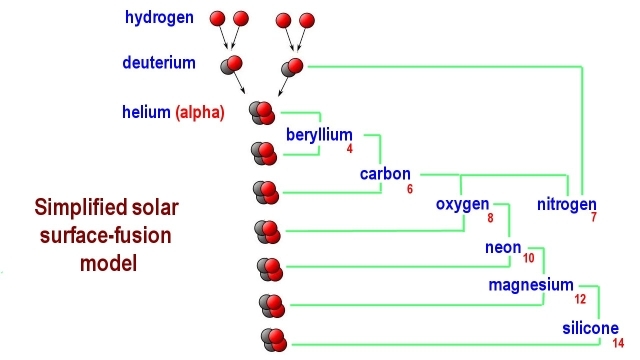 Calcium is the product of water and carbon dioxide. Calcite, or calcium carbonate, chemical formula CaCO3, is formed from water, H2O, and carbon dioxide, CO2, dissolved in the water. The carbon dioxide provides two of the oxygen atoms in the calcite. The calcium must rob the third from the water. The heavy-oxygen ratios in seawater are preserved in the calcium created in historic times. 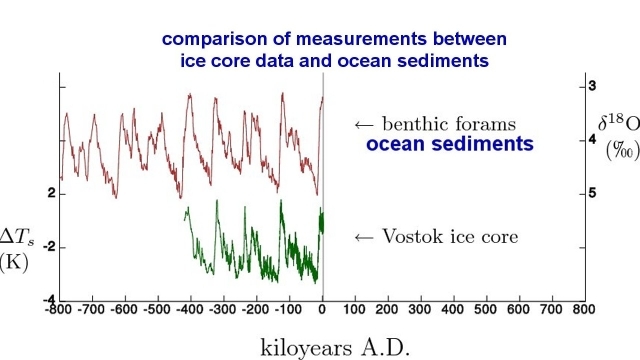 The measured ratios reflect the same pattern that are found in ice cores. 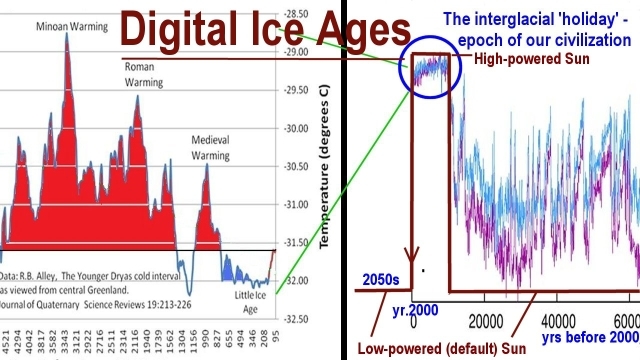 The pattern that we find there has the same digital characteristic, proving that Ice Ages are digital and global. When one looks backwards in time, far beyond the half million years that we have ice core records of. 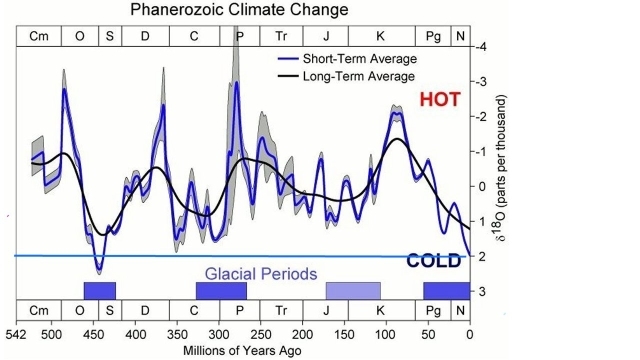 It becomes apparent here that the digital flip-flop ice-age climate variations stop at around 3 million years ago. The reason is that in earlier times the plasma density in the galaxy had been significantly greater so that our Sun's primer fields did not collapse by oscillations in the plasma streams. 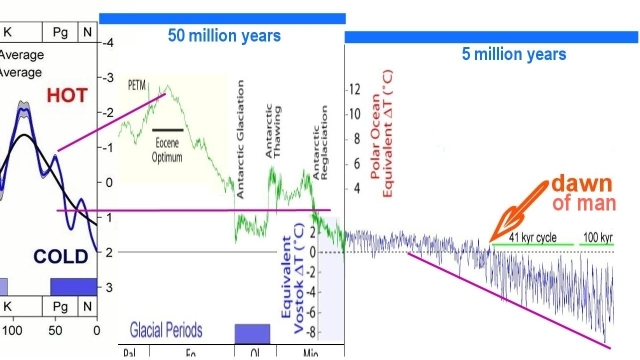 This proves that the digital nature of our Ice Ages, results from the currently weak galactic environment, and has absolutely nothing to do with mechanistic causes. When one looks further back in time in the benthic record, one notes that the galactic plasma environment, which is reflected in the Earth's environment, was very much stronger around 100 million years ago. If one looks still further back in time, more than 500 million years, it becomes apparent that our galaxy is presently the weakest it has been in 440 million years, so that the current Ice Age cycles are an extremely rare anomaly that results directly from the extremely weak plasma density in the galaxy. 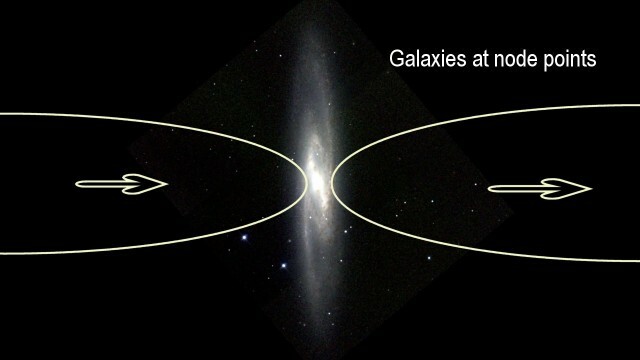 As I had noted in previous exploration videos, the currently weak state of the galaxy, is the result of overlapping resonance effects in plasma streams that our galaxy is the node point of. 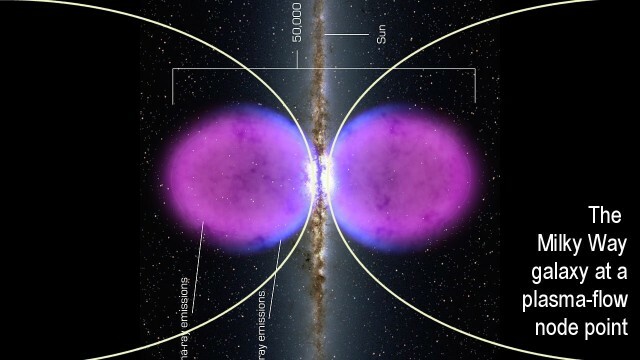 As I had also noted, the fact that our galaxy is located at the node point between two plasma streams, has recently been proved by NASA in the form of its discovery of large plasma structures perpendicular to the galactic disk. 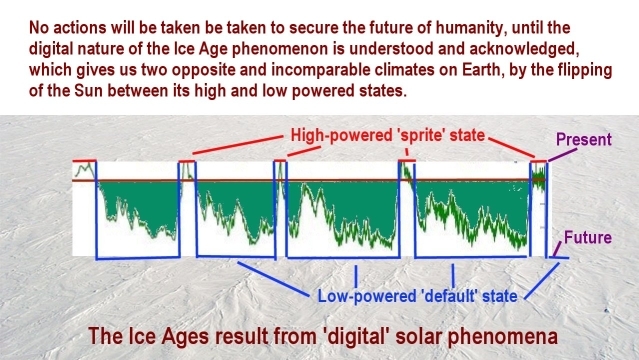 The point in all that is, that it is critical that the digital nature of the Ice Age be recognized, as plasma phenomena that are rooted in the very nature of the universe, rather than being mechanistic phenomena of orbital characteristics, as society has believed for half a century, or has been made to believe in.